I had a love hate relationship with Scooby Doo . 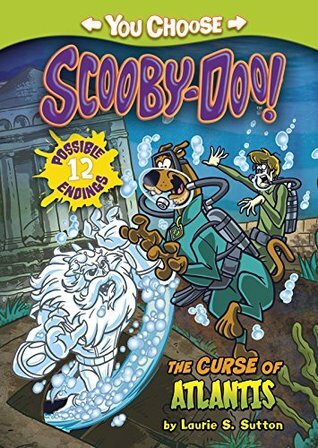 As a kid I liked how Shaggy and Scooby solved crimes in a fraught and confused way. I loved how unbrave Scooby was and I wanted so much to be able to imitate Scooby. I love how Scooby pronounces things: " Ri don't rink so" but despite that it always scared me! But when these two books came across my desk for just old times sake- I could not resist. They are You Choose books, which means you get to figure out what path to take the story. They have 12 possible different endings! 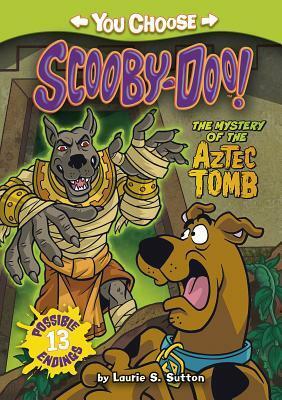 One of the stories goes like this..
Velma's uncle, a famous archeologist, asks the gang to visit his dig site in Mexico. It seems something is scaring his workers, and he needs to get to the bottom of it. But when Scooby-Doo and the gang arrives, the dig is empty and Velma's uncle is missing! Where did he go and what's scaring everyone? To solve the mystery, readers choose which characters to follow, discovering what seems to be Aztec ghosts and monsters along the way."